BJP is all set to declare Narendra Modi’s name as its PM candidate despite continuous opposition from senior leader L.K.Advani. Today, they might declare his name officially. Previously, the BJP even tried convincing Advani on Modi being the PM candidate but failed.After all, dreams are dreams and Advani has been eyeing PM’s post since decades now. 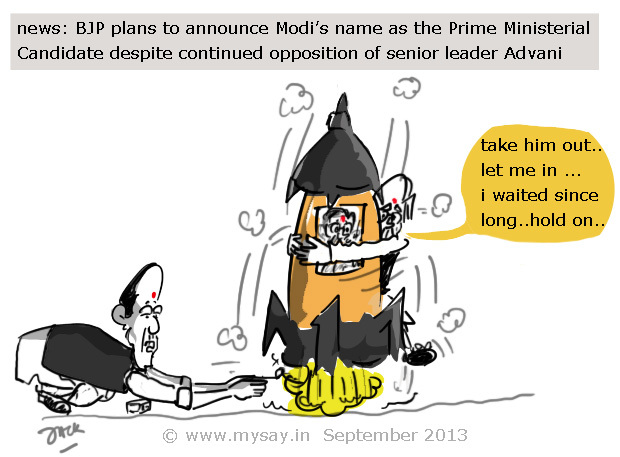 Manmohan Singh may be the Prime Ministerial face for UPA ? If Congress sources are to be believed, Dr Manmohan Singh may become the party’s choice for the prime minister’s post for a possible third term if Rahul Gandhi continues to insist on staying behind and strengthening the party rather than opting as the face for UPA Prime Ministerial Candidate for 2014 General Elections ! Well, sounds like a fairy tale.As if Rahul Gandhi does not know that if, at all, UPA gets a third chance to serve the nation, it would surely be his last opportunity to take the driving seat and probably make things happen for Congress. In the opposition,the Cold War between Bihar’s CM, Nitish Kumar, and Gujarat’s CM, Narendra Modi, may take a bigger shape if Modi is selected as the prime ministerial candidate for NDA. Congress indicates , Manmohan may serve third term if UPA wins , while Rahul is not being kept totally away from the gossip on the topic.On the other side, BJP is also yet to clear its stands on whether Modi is the prime ministerial candidate for NDA or not. To add on, Mulayam Singh’s re-indication of formation of a Third-Front by the year end, is adding on to the confusion. 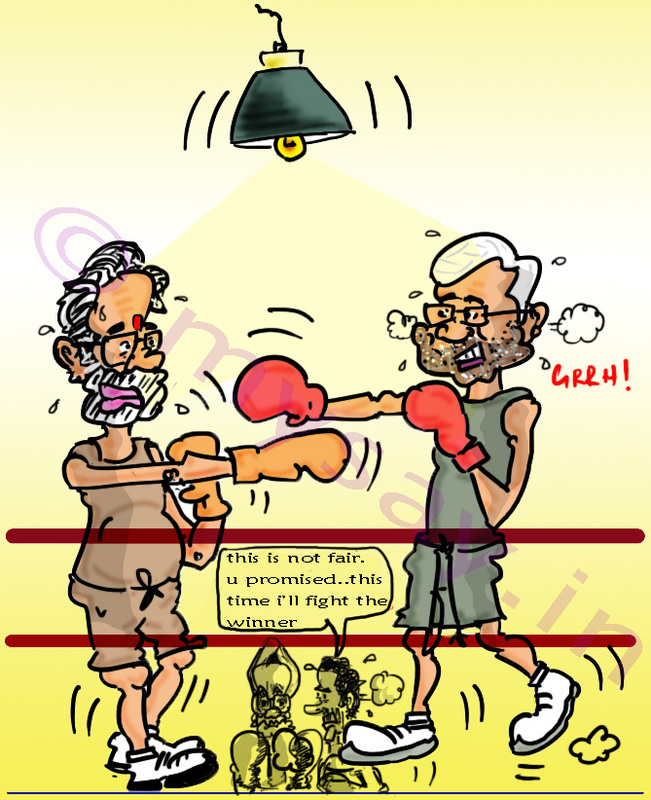 It all looked like,Rahul Vs Modi,till 2012 but now things are getting blur. 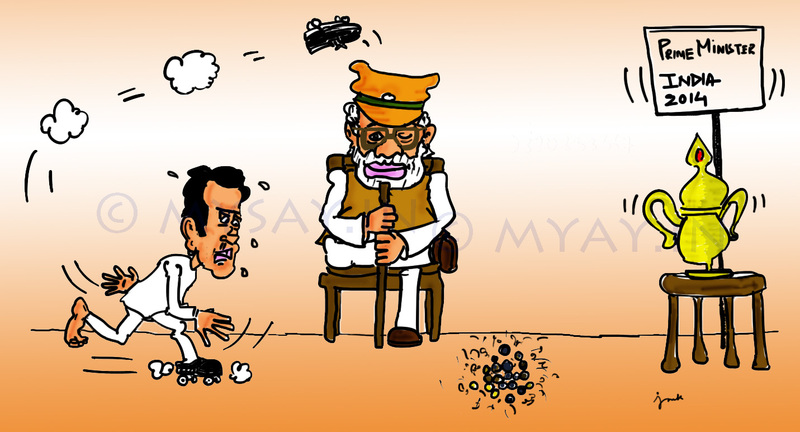 No matter what the combination may come out as, one thing is assured,with Modi proving to be the most suitable Prime Ministerial candidate amongst any names we take throughout the country , it would never be easy for Rahul Gandhi to get the seat without proving his worth,ever. who will be the Prime Minister of India 2014 ? Rahul taking bigger responsibilities in Congress has again made to the news after being accused of being involved in floating a pvt ltd company which went ahead and bought a public ltd company with valuable property in Delhi and UP.Congress has also been accused of funding Young Indians,a company controlled by Gandhis,with an unsecured loan of Rs 90 crores.All these allegations are being made by Janta Dal head,Subramaniam Swamy who always has proof supporting his allegations. 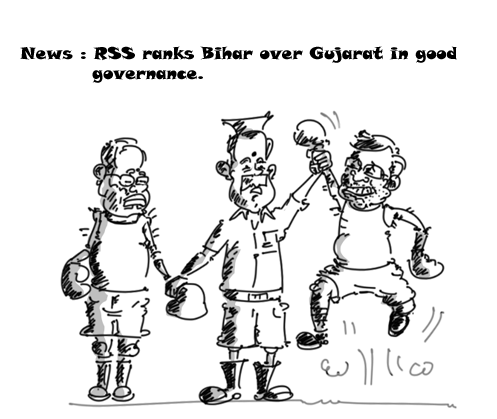 RSS ranks Bihar over Gujarat on good governance ? Mohan Bhagwat ,chief of Rashtriya Swayamsewak Sangh(RSS), has declared Bihar over Gujarat in effective governance of states of India,as per some foreign journalists. While RSS has clarified that his statement has been incorrectly quoted and what he meant was people of each state consider their governance superior.RSS which is the mother of BJP , ranking BJP ruled state below other party ruled state is astonishing. Should this be considered a slip-of-tongue or an intentional slip to keep BJP ally JD(U) in confidence? Nitish Kumar, the chief minister of Bihar , has threatened to quit alliance with BJP , in case, they announce Modi, chief minister of Gujarat,as their Prime Ministerial Candidate for 2014 General elections! There is no denying that people who favour NDA’s rule for 2014 would be supporting it only if Narendra Modi is the PM candidate and Nitish Kumar is yet to develop his strong repute nationwide !